"The more empowered a person feels when making their choices, the happier and more willing they are to continue moving in the right direction," Russell says. Kenneth Russell enjoyed his time in corporate America working for Intel and NASA—but something was missing. So he made a mid-career U-turn, building on his desire to improve the health of underserved people and enrolling as a nursing student at Samuel Merritt University. Now, as a Bay Area Schweitzer Fellow, Russell—who will complete his Master of Science in Nursing-Case Management this May—is partnering with the Intertribal Friendship House in Oakland to carry out comprehensive health education and screenings for Native American individuals. “This is a perfect way to actually get some external experience; gain insight into some of the challenges of working with non-profit, local, and state government agencies; and understand how various systems create multi-faceted challenges for members of my project community,” Russell says. I decided to develop this project because the Native American population continues to be underserved both in Oakland, California and throughout the U.S. I saw an opportunity to empower this particular community through education sessions on healthier living choices, diabetes, hypertension, nutrition, exercise, depression, and stress management. Especially with California facing some of its worst economic times, my Schweitzer project focuses on information and choices that do not necessitate spending more money when personal budgets are already stretched to the limit. My program also incorporates local businesses that focus on increasing activity levels. From aerobics to zumba, these businesses give brief demos of their programs. This way, the members can sample many different activity choices in which they may have an interest, and they can do it all from one location: their own community center. A community that is empowered to not only recognize and integrate healthier living choices into their everyday regimen, but also be able to educate other community members using an “each one, teach one” methodology. Not only does this strengthen the community as a whole, it also takes back ownership for one’s holistic health and well-being. The more empowered a person feels when making their choices, the happier and more willing they are to continue moving in the right direction. I think that obesity—which is directly related to our ever-increasing sedentary lifestyle (longer hours at work, depression from loss of a job, etc. )—will continue to be at the top of the list. We have to find the time to take that first step into taking responsibility for our own health. We know that obesity leads to so many other health problems, and by losing just a few pounds, we can lower our susceptibility risk in several of these areas. We have to get America moving again! The most surprising element has been working with non-profit organizations and bridging the connection between them and the Native American people my project serves. Prior to my Fellowship experience, I heard many negative things about working with small non-profit organizations. I am so glad that I had the opportunity to work with some before graduation, because I have found that there are many wonderful small non-profits out there. One example is the EyePACS program, whose CEO is Jorge Cuadros, OD, PhD of the University of California at Berkeley. EyePACS is a non-proprietary web-based application for exchanging eye-related clinical information, and it is especially useful in diabetic retinopathy screenings. When an eye screening event I was planning was almost cancelled at the last minute due to external factors, I connected with Dr. Cuadros. I was able to explain what we were trying to accomplish with the event, and without hesitation, he stepped right in and provided the mobile equipment and two students to help manage the tool. This was such a huge win for a community that was already thinking that this would be another missed opportunity. This was such a valuable experience for me because it really changed my thinking in regards to how I can approach other services and non-profit organizations and link them to the community I am serving. This is such a wonderful honor that I almost cannot capture the emotion with words. Let’s see if I can give it a go. The Fellowship is an opportunity to gain experience dealing with so many entities that are—or, in some cases, are not—working in synchronization. I see an opportunity to speak for those who may not have the means to have their voices heard. I see the opportunity to impart information to those who may not know where or how to find that information. I see the world getting smaller, but the challenges getting bigger. I see myself as one of those taking a few steps to help move those who may be somewhat less fortunate into an area where life hands them just a few less hardships. Russell is a Schweitzer Fellow for Life in California. 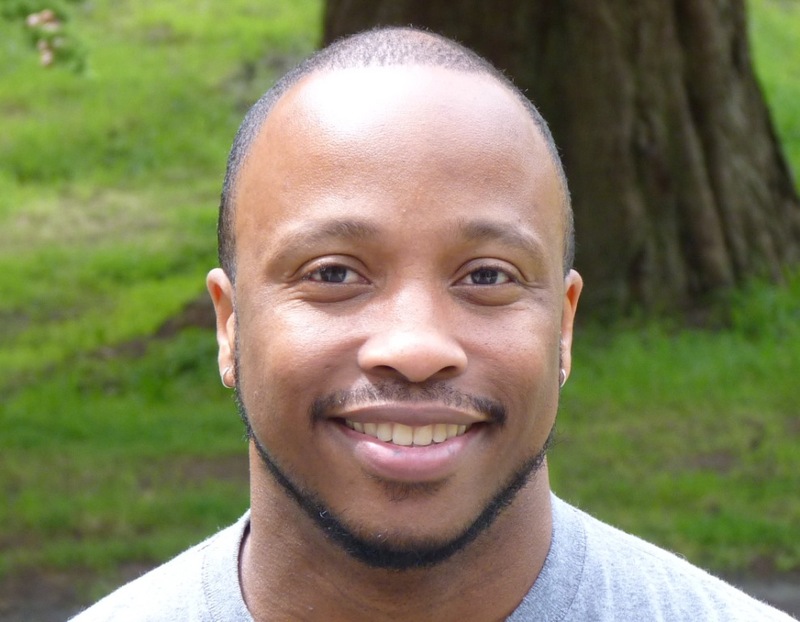 Click here to read more about the Bay Area Schweitzer Fellows Program and the Fellows like Russell it supports in creating and carrying out yearlong direct service projects that improve the health and well-being of vulnerable communities. To make a gift to The Albert Schweitzer Fellowship in honor of Russell’s efforts to empower Oakland’s Native American community, click here.